Ah, the college application process! It’s seemingly the culmination of your child’s high school career. No wonder it’s often such a fraught, tense and anxious experience. Though it certainly requires a lot of work, time and resources, we assure you that it’s more manageable than it appears at the outset. To help assuage fears, we thought we’d break down the process for you. As you help your child narrow down her top choices, keep in mind that we advise having a list that’s between 6-10 schools. After all, virtually no application is a lock. You don’t want your child’s options to be limited. Conversely, she shouldn’t go overboard. Applying to 20 schools is both excessive and expensive. Aim for a middle ground. Additionally, bear in mind that your child’s list should include a combination of reach, match and safety schools. A match school is one in which your child’s transcript mirrors that of the average freshman. Therefore, her GPA, SAT/ACT scores and coursework (college prep, honors, etc.) are all on par with those undergrads typically admitted. 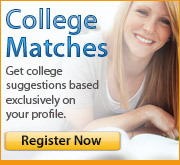 Unlike a match, reach schools are colleges where her academic qualifications are below the average accepted student. And, as you’ve probably deduced by now, a safety school is one in which her academic credentials exceed those of the average accepted student. When applicants have a clear top choice, they often contemplate applying early decision. Early decision candidates submit an application for an earlier deadline—usually in October or November--and are considered against a smaller number of applicants. Schools mail their decision letters by mid-December. Some people see early decision as advantageous because they’re telling a school, “You’re my number one pick!” Further, if accepted, your child won’t have to allocate time or money (not to mention stress) to additional applications. However, there is one caveat. Early decision is binding. Therefore, she must commit if accepted. While there’s absolutely nothing wrong with commitment, applicants in need of financial aid should recognize that this won’t give them the opportunity to compare packages. And sadly, you cannot guarantee your child’s dream school will offer adequate aid. Also, if you think your child might have a change of heart, early decision may not be the wisest choice. Similar to early decision, students who apply early action submit their materials by an earlier deadline (again around October or November, depending on the school), with decisions sent out around mid-December. However, unlike early decision, early action is not binding. Therefore, students are free to apply to any additional schools of interest. The advantage is that, assuming students are accepted, they can tweak their lists accordingly and only apply to a smaller, targeted number of dream schools. And, more importantly, these students can apply with the pressure off! They’ll also have an opportunity to compare financial aid packages. Regular admission/decision is the traditional college application option. Though it varies by school, most regular decision apps are due by early-to-mid January. Applicants usually receive notification in late March/early April. Unlike early decision, no regular admission acceptances are binding. Colleges who have adopted a rolling admission policy typically assess applications as they receive them. Candidates are often notified of the school’s decision within a few weeks of submission. Applications are usually accepted until all spots are filled. Despite not having a firm deadline, the sooner you complete your application, the better. Competition for admission becomes tighter as space fills. Unfortunately, colleges are unable to accept all qualified applicants. However, universities do strive to fill as many available spaces as possible. And they can never be sure how many accepted students will ultimately decide to enroll. Enter the waiting list. The waiting list is composed of talented students who, for whatever reason, did not make the original cut. If spots are still open in the freshmen class once all enrollment decisions have been returned, universities will begin offering admission to those on their waiting lists. Unfortunately, there’s no set/defined notification period for those who have been waitlisted. A waitlisted student could hear back within two weeks or they could receive a letter the week before the semester begins. Of course, there’s also a high probability an applicant will not get off the list. Therefore, it’s common to enroll in another school to ensure your child has somewhere to attend. He can always withdraw if she does eventually receive that coveted acceptance (although you would forfeit the deposit). Open enrollment is a policy in which any high school graduate will automatically gain admission, regardless of transcript, until all places are filled. This policy is typically the provenance of two-year community colleges. Of course, figuring out where and how your child will apply to college is, unfortunately, just the beginning. Indeed, there’s still the matter of filling out the actual applications. Luckily, some of the work can be minimized by using the Common Application. Accepted by hundreds of schools, it’s a welcome option for most students as it allows them to streamline the application process. In other words, instead of having to fill out information on say six separate applications, your child only needs to do it out once. What a time saver! However, it’s important to keep in mind that while many schools accept the Common App, they often also require students to submit supplemental forms, documents or essays. And, you’ll still need to pay application fees to each individual school. Keep in mind that schools will not review an application until it is complete. While your child’s school/guidance counselor will be in charge of sending the actual transcript, your child will be responsible for making sure the counselor is informed and up-to-date about the schools to which she is applying and the relevant deadlines. Also, if your child has attended more than one high school, be aware that official transcripts from all schools are likely to be required. Usually, a student can arrange to have test scores sent to particular schools at the time they register for to take the test. However, since your child may not yet know what schools she will apply to, it is likely that she’ll need to request that official score reports be sent after the test administration. And, indeed, many students prefer to wait and see their scores, time permitting of course, before sending them on to schools. There is almost always a fee required for sending score reports to schools, although each student can send a few for free at the time of registration. Regardless, don’t leave this to the last minute as you don’t want to miss a deadline. A number of colleges (especially private schools) ask applicants to submit recommendations. Typically, one will be written by your child’s guidance counselor and the other one or two (requirements vary by school) should be written by her teachers. Obviously, it’s preferable to have your child ask teachers who know her well and with whom she has a good relationship. However, it’s not necessary for her to select a teacher simply because she received an “A” in a particular class. In fact, a teacher who has seen her struggle yet persevere might ultimately write a more insightful and engaging recommendation. Regardless of who she ends up asking, encourage her to start considering teachers well before the application deadline. Out of consideration, she should give them ample notice. We also recommend having a back-up on the off-chance a teacher turns her down. Finally, remind her to write all of her recommenders a thank-you note. Personal statements, required by many colleges, are a vital qualitative component of the application. Beyond allowing an admissions officer to assess an applicant’s writing capabilities, these essays help to shine a light on what’s behind the GPA and test scores. Essays reveal personality, passions and values, important attributes for admissions committees trying to put together a diverse and complementary class. Therefore, it’s essential that the final product is in your child’s voice. Indeed, though it might be tempting to write (or rewrite) large portions of your child’s personal statement, resist! By all means, offer to proofread and provide feedback. You might even help brainstorm topics or ideas. However, make sure that, in the end, it is authentic to and representative of your child, not you. Similar to the personal statement, the interview offers another opportunity for qualitative assessment. Though it might not hold as much weight as other application components, if an interview is offered or encouraged, try to make it happen. Interviews can be conducted with alumni/ae in your area, admissions officers (on-campus or while they are visiting your area) and sometimes even current students. Colleges view them as yet another chance to learn a little bit about an applicant and to gauge whether the prospective student is a person they want representing their school. Of course, it’s just as essential to realize that interviews are a two-way street. Your child should view it as an opportunity to have a dialogue about the school and to receive answers to any lingering questions. If there’s one rule of which you should be aware as a parent, it’s that you should not attend the interview, regardless of how invested you are in the application process. It’s not a time for you to have your questions answered, nor is it an opportunity for you to advocate on your child’s behalf. She is the candidate. She is the individual who might attend this particular college. And she is the person from whom interviewers want to hear. Finally, one last piece of advice; the more time your child leaves herself to complete her applications, the better. Encourage her to begin filling them out, or at least start reviewing them, in late summer (even if she hasn’t fully finalized her list of schools). Additionally, she can certainly start thinking about topics for her personal statement and perhaps even compose a first draft. Some applications are quite complex, involving multiple essays and letters of recommendations, etc. Once the school year begins, you’ll all be grateful that she’s ahead of the game.